The Hourglass is a true example of my drive to create beautiful quality watches with a twist. It is a watch much unlike the usual suspects, a remarkable watch that will attract attention and admiration just by itself. A bold watch for those who want to make a difference. 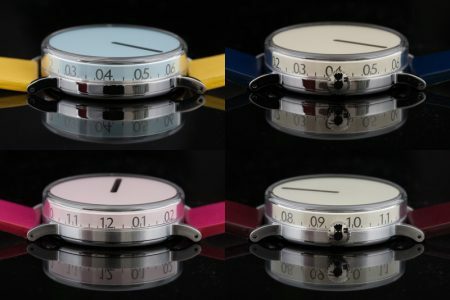 The Hourglass takes the concept of a singel hand watch to the next level. Using a fully exposed 3D shaped hour dial-hand allows for a double time indication. 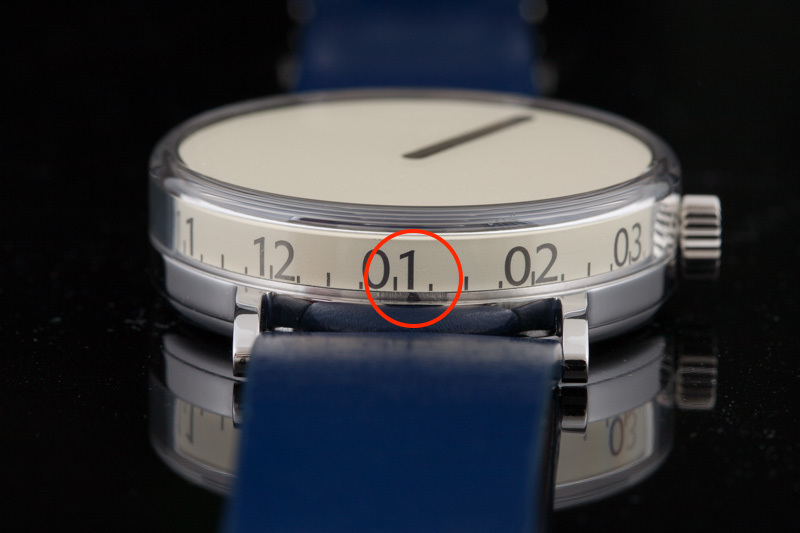 The dial-hand has a bare minimum time indication on top. The single bar shows the hours of the day without any markings as reference. Not even a logo to disturb the very graphical look of the surface. The dial-hand has a numbered and marked side to aid in a more accurate reading of time. Using the index on the case at 6 o’clock and the quarter hour markers, you will be able to tell time to about 2 minutes precise. With a little practice. 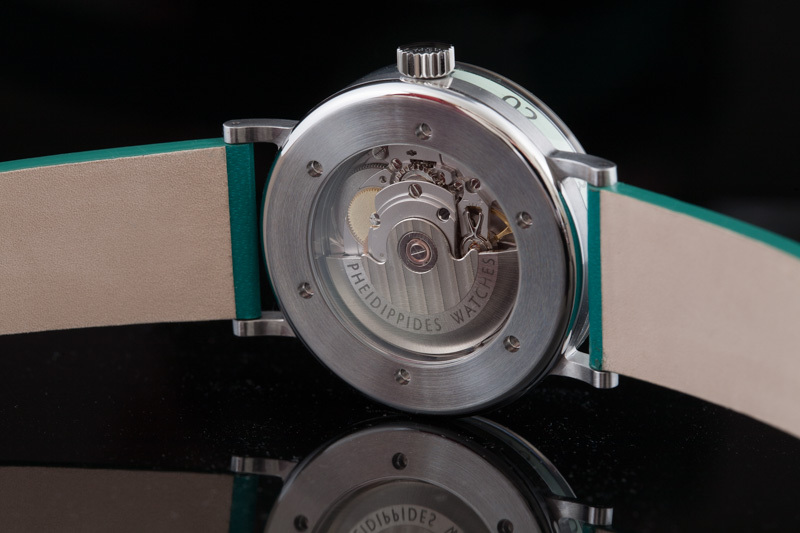 The watch is 41mm in diameter, 12mm thick, 50mm lug-to-lug. Glass, case and bottom form a perfectly symmetrical shape. 12mm is fairly high for a dress watch, but due to the large 3D glass it hardly shows. The case is hardened to a very high degree to become virtually unscratchable. Together with the sapphire glasses, this will keep your watch look beautiful for years to come. The watch has a large see-through back to show the Swiss automatic STP5-15 movement with custom rotor made by Swiss Technology Productions (a Fossil Group subsidiary). 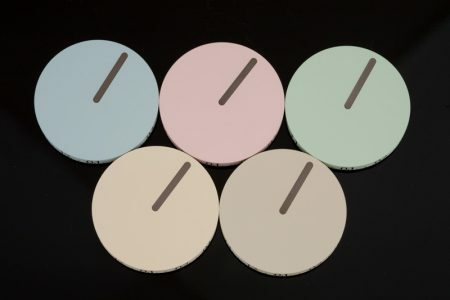 The Hourglass is available in 6 (pastel) colors: blue, rosé, green, yellow, sand and white (not all colors are shown). 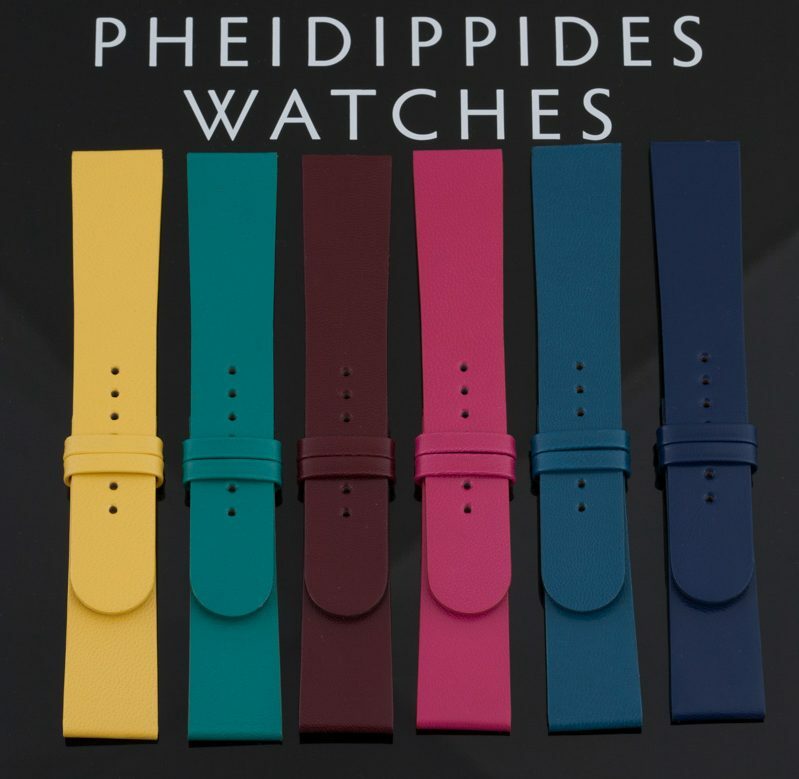 The Hourglass is available with a goat leather strap in 9 trendy colors: yellow, green, red brown, pink, dark blue, ocean blue, warm orange, white and black (not all colors are shown). 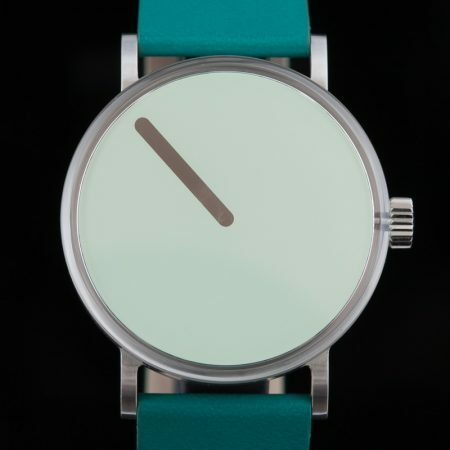 The Hourglass is available with either a polished or a brushed case and bottom. The curved side of the screw in bottom is always polished. All parts are Swiss, the case is made in Germany and the strap in France.